It's not just the size, scope and critical mission of the DHA – which supports the Military Health System in information and technology integration to deliver its own unique Quadruple Aim: increased readiness, better health, better care and lower cost – that make his job so important. It's the huge number of patients in the system: 19,721 inpatient admissions per week, Flanders said. As the DHA works to ensure the "right information is accessible to the right customers at the right time and in the right way," it faces many of the same challenges of private-sector providers. But also many that are specific to its unique situation. Flanders is working to drive standardization across the enterprise, helping boost performance and enable more centralized management. He's doing this through ambitious projects such as the Desktop to Datacenter, or D2D, program that is meant to streamline infrastructure service lines across the MHS. 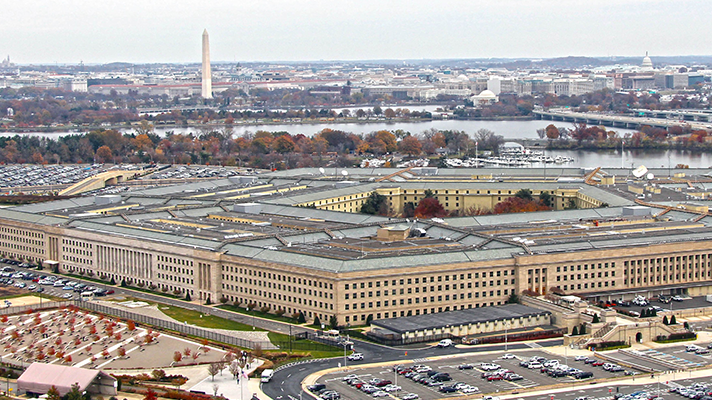 As he does, he also has a keen focus on interoperability, as the landmark MHS-Genesis project continues apace – proceeding in parallel with the Department of Veterans Affairs’ own Cerner EHR modernization. MHS doesn't just need to be interoperable with the VA, of course; it needs to connect to the wider world. "We're a microcosm," Flanders said. "Sixty percent of the treatment that's provided is provided out in the commercial system. We have to connect the networks to do that. That's what we're in the process of doing right now." "I own basically one of everything you can buy," Flanders said. And as he works to modernize, standardize and streamline the DHA's IT infrastructure, he has "one foot in the new world, one foot in the old world," he said. "I need more feet." "Knowing ourselves" is key to success in this endeavor, said Flanders. "It's the soft stuff that's often the hard stuff." Those challenges include gaining better "visibility of everyone in the workforce," he said. "That may sound simple to the commercial sector," but given the sheer scope and complexity of the MHS, the problem is real. Budgets can be hard to get a handle on too: "Our money has strings – different appropriations for different things, what you're allowed to spend it on," said Flanders. The MHS is developing its own army of "cost warriors," he said, with personal and financial accountability, adherence to schedule, a customer focus, engineering competency and more – all toward the larger goal of serving its patients with safe, secure, effective and efficient IT infrastructure.